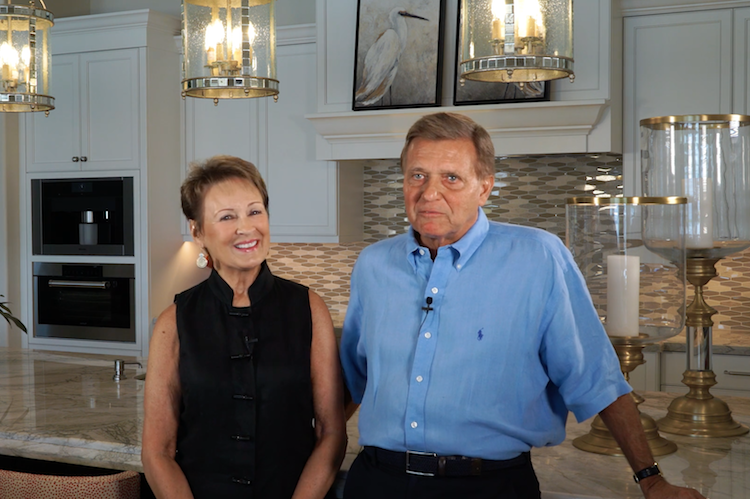 London Bay Homes has unveiled a new Selection Studio, expanding on the styles available for Mediterra homes and showcasing the latest design trends in the building industry. 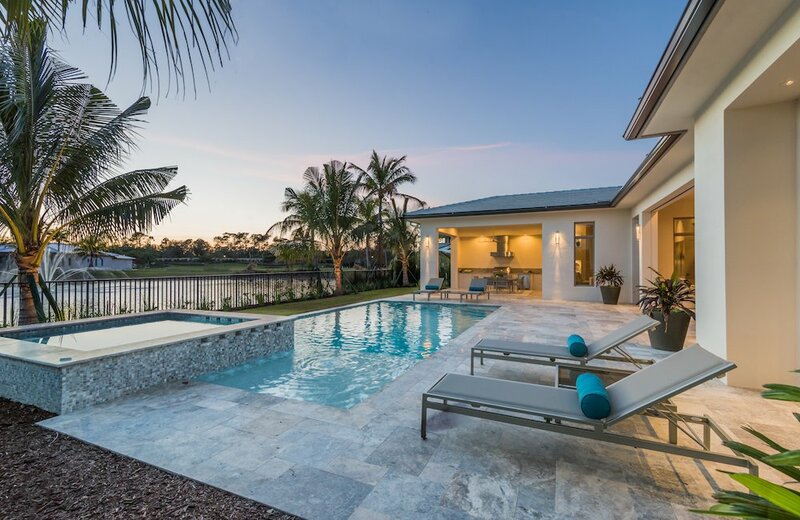 Experienced luxury home builders understand the need for personal expression in a custom home, which is why London Bay Homes, a leading home builder and developer in Southwest Florida for more than 25 years, aims to deliver custom design and construction resources for every client they serve throughout every aspect of the homebuilding process. 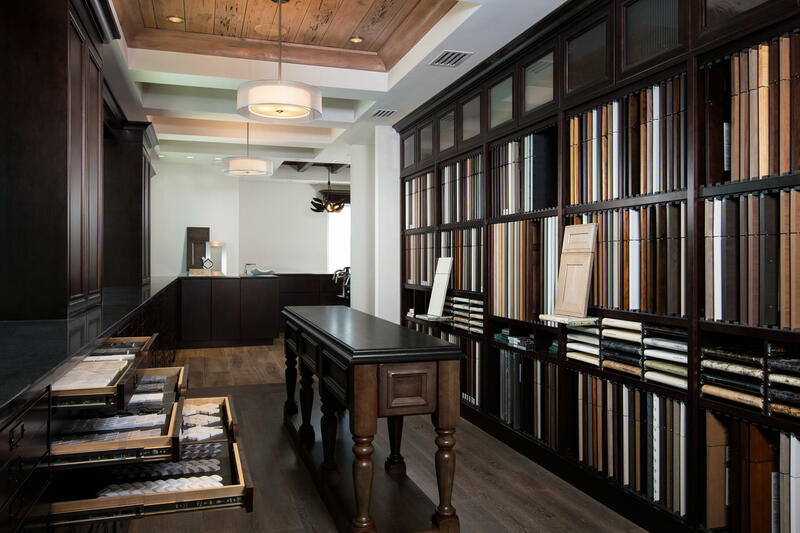 They do so with a signature Private Label Living process that allows their homes to be a personal expression of the homeowners’ distinctive needs, passion, and desires. The new Selection Studio will facilitate that mission by providing 3,500 square feet of space that includes vignette spaces with varied designs featuring state-of-the-art finishing selections. 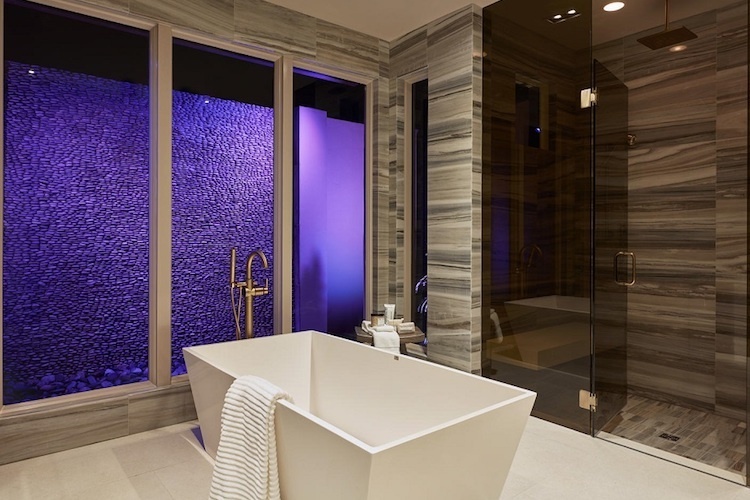 Clients will be able to enter the space and select finishes that perfectly reflect their style with the help of a team of professionals ready to answer questions and enhance your dream home. Vignette spaces in the Selection Studio show some of the finishes offered by London Bay Homes and allow the homeowners to experience the different colors and textures of the products, as opposed to just picking a color or material from a catalog or website. 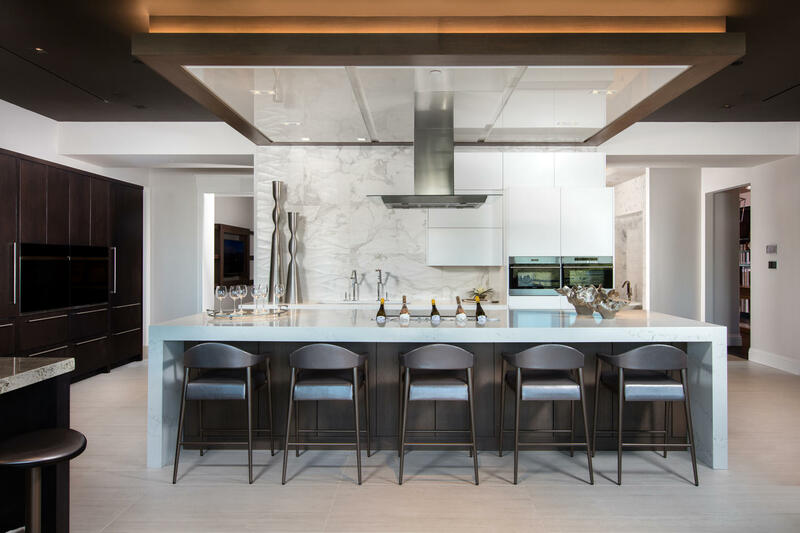 The focal point of the studio is a loft-style kitchen offering a contemporary approach with custom-stained, rift oak cabinetry, wood and leather bar stools, and an 11-foot Pompeii quartz cascading waterfall island. The kitchen also features Wolf appliances, including wall ovens, a steam oven, microwave oven, induction cook top, and Sub-Zero refrigerators. The hospitality bar’s industrial-glam design showcases more top-of-the-line Wolf appliances, including a coffee maker, Sub-Zero 24-inch tall wine refrigerator, under counter beverage center, and ice maker. Homeowners are able to run their hands over the snowfall-hued granite counter top, see the sparkles dancing off the peacock-themed handmade stained glass and mirror backsplash, and take in the floor-to-ceiling stone feature wall right in front of them. Additional spaces allow the same freedom to explore with a tranquil coastal design in the home office, a spa-like luxury retreat with a contemporary multi-light pendant hanging overhead in the master bedroom, and a marble and mother-of-pearl laser cut mosaic glass tile feature wall set behind a Kohler soaking tub in the master bathroom. 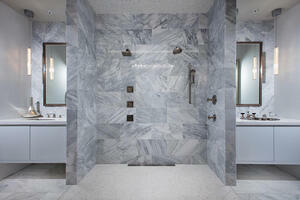 The studio also has dual bathrooms and custom built-in closet spaces to showcase a contrasting juxtaposition of light, bright, and ethereal designs situated opposite a more masculine, mid-century modern aesthetic. The reception lounge welcomes guests with clean-lined furnishings and feng shui elements enhanced by a fireplace and a limestone sidewall. Flooring, cabinet, and outdoor living studios provide more areas to personalize your home, as well as a planning room and millwork gallery to lay out all of your choices and choose your specific design. Alena Birger, London Bay Homes’ Selection Studio Manager, says that the Selection Studio has all of the elements needed to build a home, from flooring and cabinets to counter tops and appliances. She added that the best part is that the studio showcases a multitude of living scenarios and selections to spark imagination and allows homeowners to touch, feel and experience the lifestyle they desire for their custom home. These personalization options support London Bay Homes’ mission for a true design-build experience for every homeowner. 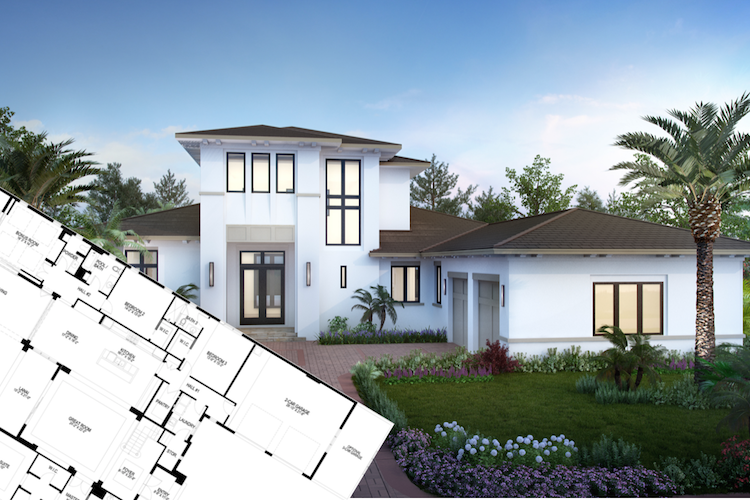 When you choose to begin your home building journey with America’s Best Builder, you’re choosing to experience this personalized approach and discover your dream home with the help of an award-winning team of architects, designers, and building experts. 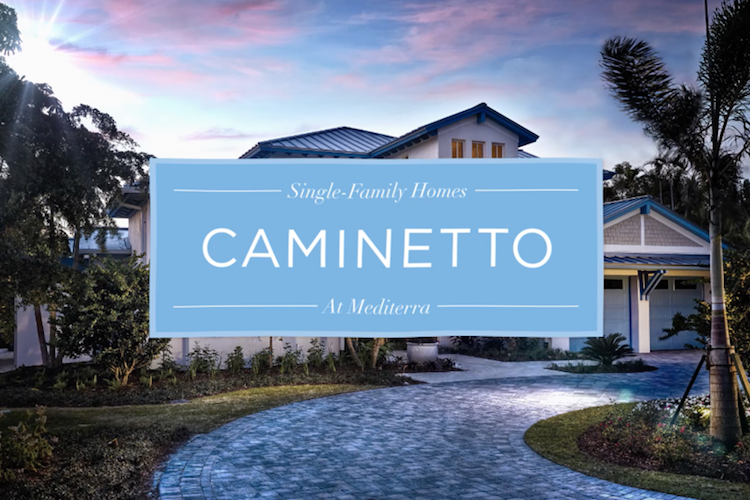 Schedule your tour of our Mediterra homes to see their work first-hand. 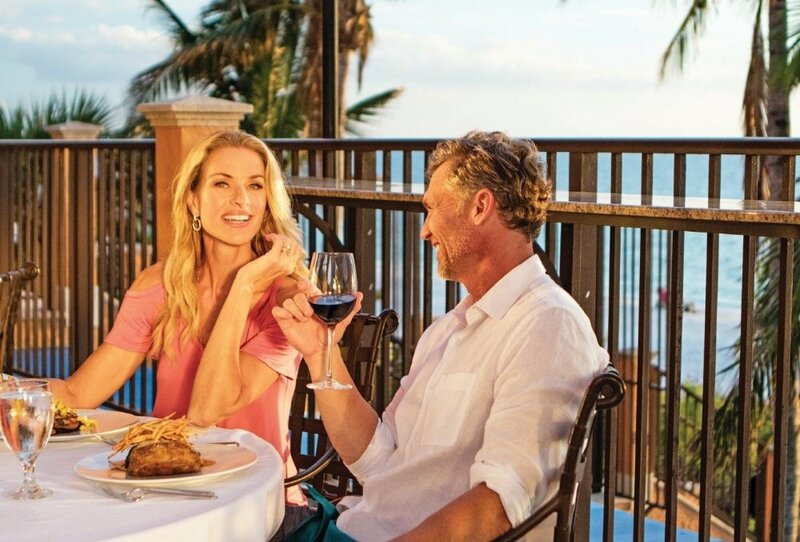 With a luxury custom home by London Bay Homes in an award-winning golf and beach club community, you can be sure you’ll Have It All.